Sepp Blatter was not among those FIFA officials arrested in Zurich this morning; we do not know if he is among those under investigation for World Cup bribery allegations. But in a statement, a group that monitors corporate, political, and organizational corruption around the globe called for Blatter to step down. “The warning signs for FIFA have been there for a long time. FIFA has refused to abide by many basic standards of good governance that would reduce the risk of corruption. 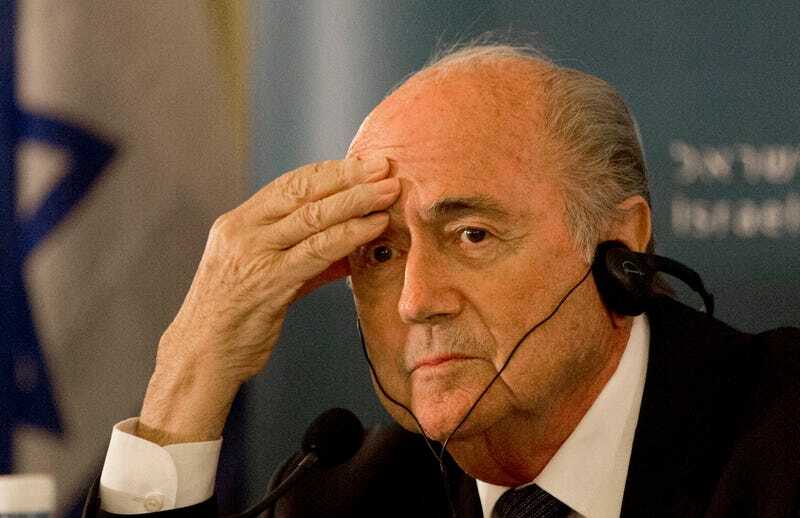 “These scandals have taken place under Sepp Blatter’s watch of FIFA, which spans almost two decades. For the sake of the fans, and good governance of football, it is time for him to step down. The elections for president are not credible if they are tainted with these allegations by the highest prosecuting authorities.